Sometimes an apparently insignificant noise can signal a big problem, like the sound of dripping water in a room with no visible plumbing. Today, I noticed a few short stories in the media about one relatively small legal settlement involving a medical device company. It initially seemed to be too insignificant a settlement to merit a comment. A closer look, however, suggested links to to other larger issues. This story reminded me about other apparently small cases that are mostly ignored, but remind us of bigger problems. Biomet Inc. has agreed to pay more than $6 million to resolve allegations that it paid kickbacks to encourage doctors to use its bone growth stimulators, the U.S. Justice Department announced Wednesday. The Warsaw-based orthopedic devices company signed the agreement along with its subsidiary, EBI LLC, which is doing business as Biomet Spine and Bone Healing Technologies. EBI, based in Parsippany, New Jersey, sells bone growth stimulators, which are used to repair slow-healing fractures without surgery. Federal official allege that from 2001 to 2008, EBI bribed staffers in physicians' offices to persuade them to use the products. That was it. A mere $6 million was the charge to settle allegations that the device company gave kickbacks to physicians' office staff to induce the doctors to use the company's product. As is usually the case, no individuals who authorized, directed or implemented the questionable activities were named, much less suffered any consequences. And hardly anyone seemed to notice Biomet's latest case. It appears to be a small case, but wait. - Starting in 2007, we posted (here, here, here, here and here) about the payments, often huge, that five manufacturers of prosthetic joints, Biomet, DePuy Orthopaedics,a unit of Johnson & Johnson, Stryker Orthopedics,a unit of Stryker Inc, Zimmer Holdings, and Smith & Nephew, revealed they made to orthopedic surgeons and various academic and other organizations in the US. All companies except Stryker were charged with "criminal conspiracy to violate anti-kickback laws," and all were subject to deferred prosecution agreements. So this tiny case, that is, in a monetary sense, suggests that Biomet is another recidivist corporation, and that the deferred prosecution agreement it signed in 2007 was useless, since it did not deter activities that occurred in 2008 and perhaps later. Furthermore, haven't we heard of Carmen Ortiz before? In 2013, we posted that Ms Ortiz was involved in settling three big cases, involving allegations that Forest Pharmaceuticals promoted Celexa in adolescents despite the drug's likely dangers to them, GlaxoSmithKline used misleading drug packaging, also likely endangering patients, and St Jude Medical gave kickbacks to doctors to induce them to implant medical devices. All cases were settled with fines, but again no individuals suffered any negative consequences. However, in contrast, Ms Ortiz was also the prosecutor who proved how tough she was when she threatened activist Aaron Swartz with serious prison time for alleged computer fraud, driving Mr Swartz to suicide. Finally, Biomet is slated to merge with Zimmer Holdings Inc, another large medical device company. Zimmer was also involved in the 2007 prosthetic hips and knees settlement, charged with criminal conspiracy to violate kickback laws, and subject to a deferred prosecution agreement (see summary in this post). So the combined company, whose formation is now subject to a European Union inquiry due to concerns about potentially anti-competitive aspects (see the Wall Street Journal article), would end up with quite a concerning track record. So this little case reminds us that when a big health care organization is accused of kickbacks or similar unethical activities that may endanger patients, even supposedly tough law enforcers almost never try to hold any individuals accountable, and that absent such accountability, such organizations often become serial legal settlers, accused again and again of unethical or criminal acts that are bad for patients and the public health. Yet again, nobody seemed to notice this case. While this case was small, it had some links to bigger past issues. It reminded me that I have seen lots of other small cases, which often seemed to small to discuss at the time they occurred. This case was unusual since it actually involved serious jail time for individual, but perhaps that was because this was a financial crime that did not endanger patients (see the Bloomberg article). The prosecutor called it an "epic tale of greed" after the CEO and CFO were convicted. In 2013, two Vice Presidents, including the head of Strategic Business Units, had also pleaded guilty (see this Bloomberg article). This was standard issue, including a fine of $6 million, allegations of kickbacks, some in the form of speakers' or consulting fees to surgeons for use of the company's back surgery devices, but not admissions of wrongdoing and no penalties for individuals, per the AP. This was another standard issue settlement involving a fine of $5.25 million, allegations of kickbacks to physicians to encourage them to use the company's devices, and a corporate integrity agreement, but no admissions of wrongdoing and no penalties for individuals, per the AP via the Billings (Montana) Gazette. The only media outlet to report this small case was Reuters. The company, which was then privately held, and its CEO combined paid $1 million to settle US Food and Drug Administration charges it sold unapproved devices. Now the company is apparently public, and its most recent proxy statement disclosed its CEO is currently in the million dollar plus club. He pleaded guilty to SEC charges that he tipped two people about the company's impending buyout by Nipro Corp, per Bloomberg. His sentence was three years of probation and a fine of $260,000, again per Bloomberg. As reported by the Portland (Oregon) Business Journal, the Johnson and Johnson subsidiary settled state claims for $4 million that it marketed its ASR XL metal on metal hip joint without disclosing its known high rate of failure. The company did not admit wrongdoing, and no individual paid a penalty. Note that Bloomberg reported, "While the sum is dwarfed by J&J’s earlier settlement of patient lawsuits linked to the ASR hip, the agreement may lead the way for additional accords as federal and multi-state probes continue into the company’s sales of the device." So it is quite possible there will be more and/or bigger settlements involving the marketing of this device. Johnson and Johnson has quite an extensive record of mischief (look here). Johnson and Johnson's DePuy subsidiary, along with Biomet and Zimmer, settled charges of criminal conspiracies to violate anti-kickback laws in the hips and knees settlements of 2007. Note that the summary of little cases suggested that the bigger the company, the less likely is any individual to be held responsible. Those cases that included individual penalties were all of relatively small companies. One of those was privately held at the time the case was made public. One individual who paid a penalty was the leader of a previously small company who held that position prior to the buyout of his company by a larger one. Furthermore, note that insider trading seems to be treated more severely than actions that violate professional ethics, like kickbacks to doctors, or might harm patients. The only individuals who went to prison or put on probation were company leaders who committed securities fraud or insider trading. No one involved in giving kickbacks to physicians, deceptive marketing, etc paid any penalties. The impunity of managers of big companies, especially in cases in which the charges involved actions that likely endangered patients and violated health care professionals values, is underlined by our look at "little cases." Yet this impunity remains unexplained, and has certainly not been addressed by law enforcement authorities. So the Kabuki play that is regulation of and law enforcement for large health care organizations goes on. As our society is being increasingly divided into a huge majority in increasingly difficult economic circumstances and a small and increasingly rich minority, it also seems to be increasingly divided into little people who may be ruined by lawsuits, and imprisoned for even minor infractions, and big people who have impunity. True health care reform would hold leaders of health care organizations accountable for their organizations' behavior, and its effects on patients and health care professionals. "The tragedy of electronic medical records"
I agree with those sentiments. The botched industry approach to clinical information technology has set back the cause of good health IT severely, largely through clinician disenfranchisement. That dissatisfaction and disappointment will not be easy to reverse - and never should have needed to have been reversed. ... “It’s sort of a tragedy because everybody’s well-intentioned,” said McDonald, who spearheaded one of the nation’s first electronic medical record systems at Regenstrief and what is now Eskenazi Health. McDonald’s work in Indianapolis on the electronic exchange of medical records put patients here at least a decade ahead of those in most of the country in benefiting from the technology. I'm not so sure that perverse behaviors such as willful blindness to the risks, profiteering, and indifference to harms caused by these systems, as I've documented at this blog and elsewhere count as "well-intentioned" (e.g., "FDA on health IT risk: "We don't know the magnitude of the risk, and what we do know is the tip of the iceberg, but health IT is of 'sufficiently low risk' that we don't need to regulate it" (http://hcrenewal.blogspot.com/2014/04/fda-on-health-it-risk-reckless-or.html). ... McDonald now has a nationally influential post to promote electronic medical records, as the director of the Lister Hill Center for Biomedical Communications, a part of the National Library of Medicine, which is one of the National Institutes of Health. That may be true regarding data entry time. I'd say the amount is likely more when accounting for confusion and communications difficulties that bad health IT causes. ... One-third of physicians surveyed said it took longer to find and review medical record data. One-third also said it was slower to read other clinicians’ notes. I have used the term "perverse" in the past regarding commercial health IT; this is the first time I recall seeing the term from one of the EHR pioneers. ... More bad news about electronic health records came out this week in a new research study. It found that physicians using electronic medical records spend an extra 16 minutes per day, on average, doing administrative tasks than their peers who still use only paper. Yet we still hear promises about "increased efficiency" and reduction of clinicians' administrative tasks and paperwork due to health IT. When will that canard be put to rest, one might wonder? In my view, the experiment of making clinicians perform EHR clerical work has been a failure. And it was, in fact, an experiment in the full sense of the word. It was done with little clue as to the true effects on patient care. ... So with so many so upset with electronic health records, why is McDonald still optimistic? I don't share that optimism or a belief physicians will be asked to "do less" with EHRs, since physicians have essentially abrogated their professional independence and autonomy, and are increasingly becoming servants of their business-degree masters - and of bad technology. At least nurses are fighting back, e.g., per National Nurses United (see query link http://hcrenewal.blogspot.com/search/label/National%20Nurses%20United). A striking story of a large recent legal settlement, with reminders of previous related settlements, quietly slipped out in the midst of the ruckus about the Ebola virus. The basics were in a news release by the US Department of Justice. a Civil Forfeiture in the amount of $39 million based upon conduct related to two specific joint venture transactions entered into in Denver, Colorado. DaVita, by the way, has agreed in principle to pay another $11 million to several states that filed false claims charges, according to a document that DaVita filed with the U.S. Securities and Exchange Commission. The DaVita spokesman says the deal involves five states. DaVita has entered into a Corporate Integrity Agreement with the Office of Counsel to the Inspector General of the Department of Health and Human Services which requires it to unwind some of its business arrangements and restructure others, and includes the appointment of an Independent Monitor to prospectively review DaVita’s arrangements with nephrologists and other health care providers for compliance with the Anti-Kickback Statute. Here is how the kickbacks worked. First, using information gathered from numerous sources, DaVita identified physicians or physician groups that had significant patient populations suffering renal disease within a specific geographic area. DaVita would then gather specific information about the physicians or physician group to determine if they would be a 'winning practice.' In one transaction, a physician’s group was considered a “winning practice” because the physicians were 'young and in debt.' Based on this careful vetting process, DaVita knew and expected that many, if not most, of the physicians’ patients would be referred to the joint venture dialysis clinics. Next, DaVita would offer the targeted physician or physician group a lucrative opportunity to enter into a joint venture involving DaVita’s acquisition of an interest in dialysis clinics owned by the physicians, and/or DaVita’s sale of an interest in its dialysis clinics to the physicians. To make the transaction financially attractive to potential physician partners, DaVita would manipulate the financial models used to value the transaction. So these alleged kickbacks were not envelopes full of unmarked bills, but sophisticated, complex transactions that would be hard for outsiders to understand. Note that these alleged arrangements ensured the private gains of the physicians involved, and presumably by increasing referrals, ensured the private gains of DaVita, and likely specific managers whose remuneration depended on the fees produced by referrals. However, the arrangements steered patients to dialysis services not based on what would be best for patients but what would be best for those involved in the arrangements. Thus these arrangements appeared to fit the Transparency International definition of corruption: "abuse of entrusted power for private gain." The physicians were entrusted to provide the best possible care of individual patients, yet they put their and the company (and likely the company's managers) financial gain ahead of the patients' care. Although the company paid a fine and entered into the corporate integrity agreement, apparently no individuals, be they physicians or company managers, paid any sort of penalty. Why it was good for shareholders and "teammates and partners," presumably meaning employees to pay so much money in the absence of "intentional wrongdoing," when the money would likely come out of stock value and employees' salaries, was not explained. Why patient care was "not an issue" when the allegations were that patients were steered to dialysis providers because of financial inducements given to doctors, not due to any consideration of patients' needs and welfare also was not explained. 'I think there was a pretty wide understanding that what was going on was questionable at best,' David Barbetta, the former DaVita senior financial analyst, tells us. He says he worked at DaVita from March 2007 until August 2009, when he resigned after being disturbed by several joint venture transactions. One vice president warned Barbetta not to 'give me any of that ethics crap,' court documents state. And, in internal company e-mails Barbetta provided to the government, top DaVita officials boasted of 'gaming' valuation models. Barbetta also told prosecutors that another DaVita manager once explained to him the deals were used to funnel 'a bag of money' to physicians. Those doctors, in exchange, steered dialysis patients to DaVita. Why there was no further investigation of these executives, and those to whom they reported, was also not explained. The few media reports of this settlement suggested that this was not DaVita's first settlement. had previously been in a joint venture arrangement involving dialysis clinics with Gambro, Inc., a dialysis company acquired by DaVita in 2005. Prior to the acquisition, Gambro had entered into a settlement with the United States to resolve alleged kickback allegations that, among other things, required Gambro to unwind its joint venture agreements. In 2000, Gambro Healthcare and its subsidiary, Gambro Healthcare Laboratory Services, agreed to pay $40 million to settle allegations of healthcare fraud. Gambro and another subsidiary, Dialysis Holdings Laboratory Services, Inc. (DHLSI), have agreed to pay more than $13.1 million to settle similar allegations. As part of this comprehensive global resolution, Gambro Supply Corporation, a sham durable medical equipment company and a wholly owned subsidiary of Gambro Healthcare, admitted to the execution of a healthcare fraud scheme and agreed to plead guilty to criminal felony charges, pay a $25 million fine and be permanently excluded from the Medicare program. Gambro Healthcare will also pay in excess of $310 million to resolve civil liabilities stemming from alleged kickbacks paid to physicians, false statements made to procure payment for unnecessary tests and services, and payments made to Gambro Supply. The settlement also requires Gambro to allocate an additional $15 million to resolve potential liability for the conduct resolved under the federal agreement pursuant to a preliminary understanding reached with representatives of various state Medicaid programs. Gambro Healthcare has also entered into a comprehensive Corporate Integrity Agreement. Note that this older settlement actually involved admissions of wrongdoing, fraud, and a guilty plea by a subsidiary to federal felonies. . According to the Commission’s complaint, DaVita’s proposed acquisition of Gambro would be anticompetitive and in violation of Section 5 of the FTC Act and Section 7 of the Clayton Act, as amended. DaVita and Gambro account for a significant proportion of the dialysis clinics and treatment stations in many local areas in the United States, and the acquisition, if consummated, would lessen competition for outpatient dialysis services in 35 markets nationwide. Kidney dialysis giant DaVita Inc. has settled a whistleblower lawsuit for the first time, agreeing to pay $55 million over allegations of drug overuse while denying any wrongdoing. Denver-based DaVita settled fraud claims in a Texas lawsuit challenging the dialysis chain's past use of Epogen, an anemia drug whose high cost and dangers helped change how the government pays for kidney care. Epogen is not without serious adverse effects, as noted above, and overdosing multiple patients with it made it likely that some were harmed. DaVita said it was the first time it was settling a claim over federal anti-fraud laws, but noted the government had declined to join the whistleblower' s lawsuit. Only two years later DaVita had to settle more federal claims, this time due to a suit that the federal government had certainly joined. And as noted above, a company which DaVita was about to acquire as a subsidiary had admitted to fraud and pleaded guilty to federal charges apparently involving fraud just before the acquisition. 'DaVita and its affiliated physicians did nothing wrong and stand by their anemia management practices, which were always consistent with their mission of providing the best possible care for each patient,' a company statement said. The latest settlement by DaVita was of allegations that the company gave kickbacks to physicians to get them to refer patients to DaVita facilities, regardless of the patients' best interests. The company paid about $400 million and signed a corporate integrity agreement, but no individual who authorized, directed, or implemented the provision of kickbacks was identified, or paid any penalties. This settlement turns out to have been only the latest settlement by DaVita or companies it acquired. Previous settlements involved penalties of $53 million, $350 million, and $55 million (totaling more than three-quarters of a billion dollars from 2004 to 2014. Previous settlements were for kickbacks and fraud. One included a guilty plea to a felony. Previous settlements involved alleged and sometimes admitted behavior that likely put patients at risk. One earlier settlement also included a corporate integrity agreement. However, no settlement imposed any negative consequences on any individual who authorized, directed, or implemented the bad, and sometimes criminal behavior. We don’t say, 'It’s not my fault,' or 'It’s not my job.' We take responsibility for meeting our commitments — our personal ones as well as those of the entire organization. We take ownership of the results. Despite the fact that the above settlements made a mockery of these lofty values, the company managers who presided over the behavior that lead to them prospered mightily during this time period. The company' 2014 proxy statement showed the current CEO and board chairman Kent J Thiry received $17,099,257 in total compensation in 2013. The five next best paid executives received collectively about $22 million. Note that Mr Thiry as been CEO since 1999, and thus all the above settlements and most of the behavior that led to them occurred on his watch. So the march of legal settlements continues in step with the same old song. Big health care organizations preach their lofty missions and values, pay their top managers millions, and in some cases turn them into billionaires, while the organizations are accruing amazing records of bad and sometimes criminal corporate behavior. The legal settlements only provide hints as to this behavior, but nearly every time, the management need not admit nor deny wrongdoing while merrily going on to collect their next huge paycheck which was justified by the corporate financial performance in part generated by the bad behavior. Leadership that cares not for honesty, transparency, or accountability, and that puts short term revenue, and usually personal enrichment ahead of patients' and the public's health may be the single most important reason that US health care is so dysfunctional. Yet hardly anyone even dares discuss the damning facts about health care leadership, much less propose solutions. If we do not reform our health care leadership so that it is transparent, honest, accountable, unconflicted, and it puts patients' and the public's health over personal enrichment, our health care system will continue to founder. Neil Versel is a journalist specializing in health IT, mobile health, patient safety, quality of care and the business of healthcare. He is a prolific writer of the web site Meaningful HIT News and others (http://www.informationweek.com/author-bio.asp?author_id=690). He interviewed me recently for a podcast on health IT safety. Readers of this blog will recognize many familiar themes. At "Congressional committee releases timeline detailing how Presbyterian treated Ebola patient Thomas Eric Duncan", Dallas News, Oct. 17, 2014 there is a link that provides acccess to documents released by the U.S. House of Representatives' Energy and Commerce Committee. According to a timeline released moments ago by the U.S. House Energy and Commerce Committee, Texas Health Resources Presbyterian Hospital Dallas released Thomas Eric Duncan at 3:37 a.m. on Sept. 26 — just 35 minutes after his temperate jumped to 103 degrees. The timeline, provided by Presbyterian officials, also shows that “obtaining the patient’s travel history was not part of the triage nurses’ process on September 25, 2014,” when Duncan initially went to the hospital. He arrived in Dallas from Liberia five days earlier. A nurse noted that he’d just come from Africa but “attached no further significance to this travel history,” according to the timeline. Another document shows how Presbyterian prepared to deal with Ebola dating back to Aug. 1 when officials were told that all Emergency Health Records should include a travel history for every patient. In Duncan’s case, it’s not clear whether a doctor read his emergency health records. “The record does not show which information the physician read, only which information was available,” according to the timeline. - The primary ED nurse continues the assessment. - She asks about Mr. Duncan’s travel history. - The nurse documents that Mr. Duncan “came from Africa 9/20/14"
- RN states she recalls the discussion because of how long the plane flight was. (She had personal experience with very long plane fights). Attached no further significance to this travel history. - This information was not verbally communicated to the physician, as prompted by the EHR. The record does not show which information the physician read, only which information was available. Again, the statements that the physicians "accessed portions of the EHR where the travel history was now available" after the RN recorded it, and that "the record does not show which information the physician read, only which information was available" sound like lawyers writing to obfuscate EHR realities from our Congresspeople. These is a fundamental semantic problem here with the word "available." In an EHR, "available" has a far different meaning than in a paper record. What is the precise meaning of the word "available" as stated here? (1) Does "available" mean "present on the actual screen(s) the physicians had up at one time or another on the monitor, that made up the "portions" of the EHR they "accessed"?" In other words, was the positive travel history from Africa "illuminating the phosphor", or illuminating the LED arrays for a modern computer monitor, of an actual screen in actual eyesight of the physicians that was a subset of the "portions of the EHR" they accessed? Further, was there a meaningful alert drawing the physician to a screen that did then present the travel data to them? There is no way to know by parsing the words, but based on their semantic blur I suspect the second scenario. Unfortunately, what really is essential to understand the EHR interaction are screenshots of precisely the screens viewed by the physicians, not "available" to the physicians. Note that, for example, my Windows System Event log is "available" to me at all times in "portions" of Windows I may look at - by right-clicking "My Computer" and clicking the "manage" menu item that appears - and only then if I actually then navigate to find it. Of course, EPIC and the other EHR sellers do not make the actual EHR screens available to the public - they are considered "protected IP." Perhaps it's time for EPIC and the Texas Health Presbyterian Hospital to show Congress their screens. Assuming they even know what screens to show. EHR audit trails of user activity are notoriously imprecise. I say: prove it. And as above, prove the doctors actually "put the data up into the screen LEDs." Show the screens (before the hospital changed them, I add). (CNN) -- The Texas hospital treating the first person diagnosed with Ebola on American soil says a "flaw" in its electronic health records prevented doctors from seeing the patient's travel history. Patient Thomas Eric Duncan told the nurse he'd been in Africa, but that information was entered into a document that isn't automatically visible to physicians, Texas Health Presbyterian Hospital Dallas said in a statement Thursday. However, the screens and the audit trail are the only way to authenticate the EPIC claims. Are Million Dollar Plus Business Trained Managers the Right People to Lead Health Care in the Time of Ebola? You can guess my opinion on the answer. News and opinions about Ebola virus are swirling around the US, fueled by a tragic epidemic in West Africa, and fears that more infections could appear here. On October 6, 2014, I posted my concerns that despite a tremendous amount of confidence expressed by government officials and health care leaders, our dysfunctional health care system might have trouble containing Ebola virus. Less than two weeks later, my concerns do not seem so extreme. The first patient to be diagnosed with Ebola virus in the US has died. Two nurses who cared for him now have the virus. There seem to be millions of words on paper and on the internet about Ebola appearing every day. So I certainly do not want to try to deal with the problem in all its aspects. I do want to revisit a particular set of issues from my October 6 post: the hazards posed by generic management deluded by business school dogma running health care institutions in the time of Ebola. In particular, my focus is the management of the US hospital at which one patient died, and two nurses were infected, based on what has come out since October 6. On October 6, we noted that the hospital, Texas Health Presbyterian, part of the Texas Health Resources hospital system, had issued conflicting and confusing statements about why the first Ebola patient, Mr Thomas Eric Duncan, was sent home from the hospital when he first presented. The first specific statement by hospital managers was that there had been a problem with the hospital's electronic health record (EHR), as had been suspected by my fellow Health Care Renewal blogger, InformaticsMD. Then the hospital retracted that statement, but provided no explanation with which to replace it. Since then, there have been more inconsistencies in statements made by hospital managers. Presbyterian said it is following recommendations from the U.S. Centers for Disease Control and Prevention and the Texas Department of Health in responding to the patient, described as being 'critically ill' at the hospital in northeast Dallas. Sadly, this statement soon seemed, as one politician once said, inoperative. an October 14 Washington Post article described how hospital health professionals had to essentially make up their procedures as they went along. The hospital that treated Ebola victim Thomas Eric Duncan had to learn on the fly how to control the deadly virus, adding new layers of protective gear for workers in what became a losing battle to keep the contagion from spreading, a top official with the Centers for Disease Control and Prevention said Tuesday. 'They kept adding more protective equipment as the patient [Duncan] deteriorated. They had masks first, then face shields, then the positive-pressure respirator. They added a second pair of gloves,' said Pierre Rollin, a CDC epidemiologist. The nurses' statement alleged that when Duncan was brought to Texas Health Presbyterian by ambulance with Ebola-like symptoms, he was 'left for several hours, not in isolation, in an area' where up to seven other patients were. 'Subsequently, a nurse supervisor arrived and demanded that he be moved to an isolation unit, yet faced stiff resistance from other hospital authorities,' they alleged. Duncan's lab samples were sent through the usual hospital tube system 'without being specifically sealed and hand-delivered. The result is that the entire tube system … was potentially contaminated,' they said. The statement described a hospital with no clear rules on how to handle Ebola patients, despite months of alerts from the U.S. Centers for Disease Control and Prevention in Atlanta about the possibility of Ebola coming to the United States. 'There was no advanced preparedness on what to do with the patient. There was no protocol. There was no system. The nurses were asked to call the infectious disease department' if they had questions, but that department didn't have answers either, the statement said. So nurses were essentially left to figure things out on their own as they dealt with 'copious amounts' of highly contagious bodily fluids from the dying Duncan while they wore gloves with no wrist tape, flimsy gowns that did not cover their necks, and no surgical booties, the statement alleged. 'Hospital officials allowed nurses who interacted with Mr. Duncan to then continue normal patient-care duties,' potentially exposing others, it said. So while hospital officials (and local and national politicians and government leaders) kept up reassuring statements that our sophisticated, high-technology hospitals were totally ready to deal with a disease like Ebola, the reality appeared far different. According to a USA Today story, other inconsistencies included hospital statements about the date Mr Duncan's diagnosis was confirmed, and whether or not the hospital was diverting ambulances. Of course, given the suddenness of the arrival of Ebola in the US, the acuity of the first patient, and the general atmosphere of panic, initial confusion in public statements however critical the information they were meant to contain may be, is understandable. However, there are now allegations that hospital management was not merely confused, but trying to keep critical information secret, and the allegations do not seem incredible. Castillo said the union has been trying to contact nurses at Texas Health Presbyterian Hospital, where Thomas Eric Duncan, the Liberian man diagnosed with Ebola, died Wednesday. The Dallas nurses asked the union to read their statement so they could air complaints anonymously and without fear of losing their jobs, National Nurses United Executive Director RoseAnn DeMoro said from Oakland. Covering up information vitally needed by health care professionals, other institutions, the government, etc to better manage a potentially fatal disease that is already epidemic in other countries appears completely unethical. Doing so to preserve the reputation of managers seems reprehensible. But the implication of the recent stories is that is what happened. The US has had no recent experience with any disease like Ebola. So that mistakes, sometimes very serious ones, were made in the management of the first Ebola patients is not a big surprise. What may be a big surprise to many Americans is how untrustworthy health care leaders, and in particular the managers of Health Texas Presbyterian hospital and its parent system, Health Texas Resources now appear. After all, USA Today published on October 14, "Texas Health Presbyterian was a respected, renowned hospital." While even people at respected, renowned institutions make mistakes when confronted with sudden, unfamiliar problems, should not the institution's leaders at least be trusted to in their public pronouncements? Instead, it appears that the leaders appeared tremendously overconfident, and worse, may have silenced employees from raising concerns that could have reflected badly on leadership. This occurred in a context in which transparency was imperative so that other people who might have to deal with Ebola patients might be better prepared. On the other hand, based on what we have been posting on Health Care Renewal for nearly 10 years, the conduct of the Texas Health Resources leaders should have come as no surprise. On Health Care Renewal we have been connecting the dots among severe problems with cost, quality and access on one hand, and huge problems with concentration and abuse of power, enabled by leadership of health care organizations that is ill-informed, incompetent, unsympathetic or hostile to health care professionals' values, self-interested, conflicted, dishonest, or even corrupt and governance that fails to foster transparency, accountability, ethics and honesty. Most such ostensibly "brilliant" hospital executives had no direct experience in clinical care, public health, or biomedical science. Making hospital leaders feel entitled to make more and more money regardless of their or their institutions' performance seems to be a recipe for "CEO Disease," leading to disconnected, unaccountable, self-interested leaders. Hospital leaders suffering from the CEO disease may be particularly willing to countenance suppression of any facts or ideas that might raise doubts about their brilliance. In 1997, Doug Hawthorne helped reshape the health care industry in North Texas by leading the creation of Texas Health Resources, an alliance of Presbyterian Healthcare Resources, Harris Methodist Health System and Arlington Memorial Hospital. With more than 22,000 employees in fully owned and joint venture operations, Texas Health is one of the largest care providers in North Texas. For its 2012 fiscal year, it had $3.7 billion in total operating revenue and $5.3 billion in total assets. He was among the most highly compensated not-for-profit CEOs in the region. For 2012, the most recent information available, his base salary was about $1 million and his bonus was about $1.1 million. 'A healthcare visionary, Mr. Hawthorne is at the helm of one of the largest faith-based, nonprofit health care delivery systems in the United States, Texas Health Resources,' the Hall said in a release announcing the induction. B.S. and M.S. degrees in healthcare administration from Trinity University in San Antonio. Furthermore, as we mentioned earlier, the current CEO of Texas Health Resources, Mr Barclay E Berden, who has only been on the job since September 1, 2014, also was hailed by system board of trustees for his "unique leadership strengths." His current compensation is unknown, but I would guess is likely over $1 million/year. He highest degree is a MBA, and like his predecessor, had much experience in hospital management, but apparently none in clinical care, public health, or biomedical science. Texas Health Resources' recent CEOs have been paid millions, and hailed for their brilliance, despite a lack of any direct experience in health care, public health, or biomedical science. Leaders convinced of their own brilliance may live in bubbles that prevent penetration of any ideas or facts that may challenge that brilliance, making them thus susceptible to hubris. So should we have been surprised that the leadership of the first US hospital system to directly confront Ebola de novo seemed more concerned with polishing their supposed brilliance than with transparently providing the information that other people who have to confront Ebola in the future so greatly need? No, but one tiny silver lining to the time of Ebola is that it may make it glaringly obvious that we need true health care reform that focuses on reforming the leadership of big health care organizations. In particular, we need leadership that is well-informed about health care and public health; that upholds the values of health care professionals, specifically by putting patients' and the public's health ahead of their own remuneration; is willing to be held accountable; and is honest and unconflicted. Allowing the current dysfunction to continue, while it will be very profitable to the insiders who run the system, will continue to enable tragic outcomes for patients and the public. If we had a widespread outbreak of virulent, drug-resistant Bubonic Plague in another country, would we ban travel from that country to ours? Bubonic plague is known to have killed massive numbers of people in the 6th century and after (http://en.wikipedia.org/wiki/Bubonic_plague). ... 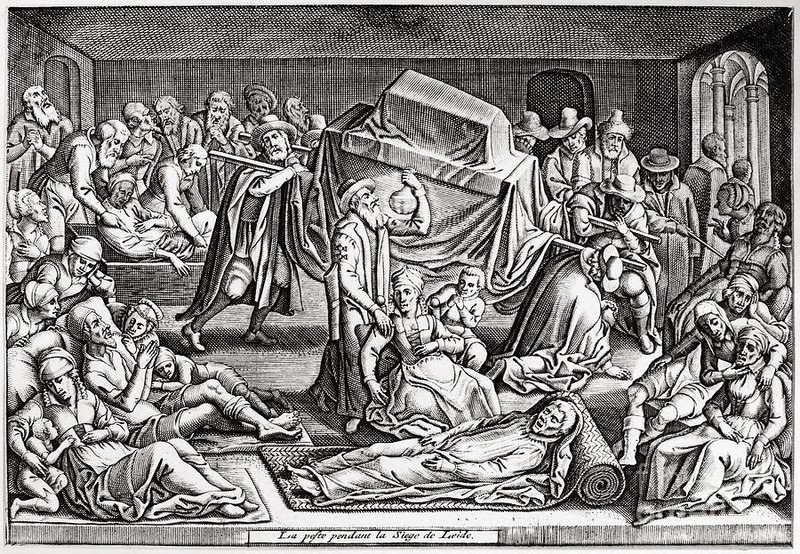 The first recorded epidemic ravaged the Byzantine Empire during the sixth century, and was named the Plague of Justinian after emperor Justinian I, who was infected but survived through extensive treatment. The epidemic is estimated to have killed approximately 50 million people in the Roman Empire alone. Of course, epidemiology was not understood then - or even the nature of infectious disease. ... Bubonic plague is an infection of the lymphatic system, usually resulting from the bite of an infected flea, Xenopsylla cheopis (the rat flea). In very rare circumstances, as in the septicemic plague, the disease can be transmitted by direct contact with infected tissue or exposure to the cough of another human. We supposedly understand infectious disease better now. We supposedly understand how to limit epidemics through quarantine of those affected, and via keeping those affected away from those who are not - via, for example, travel restrictions regarding entry into an unaffected country. The second health care worker who tested positive for the Ebola virus [after caring for the late Thomas Duncan] took an airline flight from Cleveland to the Dallas/Fort Worth International Airport the day before she reported symptoms of the disease, federal health officials said Wednesday. The federal Centers for Disease Control and Prevention said in a statement that “because of the proximity in time between the evening flight and first report of illness the following morning,” it was reaching out to passengers. Frontier Airlines said Flight 1143 landed in Dallas-Fort Worth at 8:16 p.m. Monday and remained at the airport over night. When, exactly, is the disease transmissible and when is it not? Before symptoms, "in proximity" to symptoms, after symptoms? The calls for "reaching out" suggests nobody is quite confident of the exact time of infectivity of an affected person. The hospital worker, who has not been identified, was part of the medical team that cared for the Thomas Eric Duncan, the Ebola patient who was admitted to a hospital in Dallas on Sept. 28 and put in isolation. The worker reported a fever on Tuesday and was immediately isolated at Presbyterian hospital. Crew members said the woman had shown no signs of illness while on the flight, according to a statement from the airline and the disease centers. I don't think the crew members were either qualified or equipped to render a definite diagnosis. The agency asked that all 132 passengers who took the Cleveland flight to contact the federal health authorities (1-800-232-4636). “Individuals who are determined to be at any potential risk will be actively monitored,” it said in a statement. Why are all flight passengers being asked to contact the authorities, one wonders? Just who is "at potential risk?" What about people the worker may have contacted in the airport, in the waiting lines, in the restaurants, in the bathrooms? Frontier said in a statement that the aircraft “received a thorough cleaning per our normal procedures,” at Dallas-Fort Worth and that it was then cleaned last night in Cleveland. Is this some type of guarantee of non-spread of Ebola? I seem to recall the apartment of the first healthcare worker to contract the disease was fumigated. It seems clear the mode of spread of this disease is not truly understood to a great degree of confidence by our officials or governmental leaders. What Ebola does apparently have, however, is up to a 70% mortality rate, and that rate is likely higher in children and the aged. Our politicians, however, seem to have no problem with using the public as laboratory specimens to figure out how the virus spreads, rather than taking immediate action to, as in any epidemic, quarantine the sources. Has quarantine all of a sudden been determined to have no role in limiting the spread of infectious diseases for which there is no treatment, and which have an exceptionally high mortality rate? Is political correctness more important than our lives? What kind of idiots do we have as our leaders? Why the hell was this healthcare worker - or any other worker potentially exposed to the virus - permitted to fly before the transmission of the virus is truly understood? Is not extreme caution with a disease of this nature, and scientific study in confined laboratory environments a wise path, rather than hope, wishful thinking, and putting the public health at risk? Quarantine by travel restrictions is overdue, and it is unclear how many people will pay the price for that fundamental (and seemingly deliberate) scientific faux pas. Welcome to the public's new role as laboratory rats. I, for one, did not sign up. The Mystery of the Discharged Ebola Patient - Where is Sherlock Holmes When We Need Him? As discussion, if not outright panic, about Ebola infections increases in the US, it is still hard to figure out what heath care professionals and the health care system need to do to protect patients and the public in a very changed world. One pressing question is how to identify people at risk of having the infection so as to best care for them, and to protect the public from further spread of the infection, without swamping the health care system, needlessly reducing civil liberties, or spreading further panic. "Why Don't We Know Yet Exactly What Happened When Our Ebola Patient Zero Appeared?" On this blog, InformaticsMD was the first to speculate that problems with the design and implementation of an electronic health record (EHR) might have enabled the discharge of this patient, after he presented to the emergency department with non-specific symptoms soon after returning from Liberia. The next day, an official statement from Texas Health Resources seemed to confirm that a "flaw" in the hospital's EHR prevented adequate communication of the patient's travel history between a nurse and a physician. However, one day later, as InformaticsMD discussed here, the hospital reversed itself, releasing another statement that there was no "flaw" in the EHR. That statement, however, did not explain either why the first statement came out, or anything more about the diagnostic failure. As columnist Jim Schultze explained, this question has implications for health care professionals and health care organizations who need to figure out how to best deal with the next patient who shows up who might or might not have Ebola. If Duncan's dismissal from the emergency room on his first visit was a bungle, then it's reasonable to assume that everybody knows about the bungle by now and a similar goof is unlikely to happen again at any decent hospital in America. But if the handling of Duncan grew out of something more systemic, especially a business or management style or policy, then it may be less reasonable to assume the next hospital will be immune from the same issue. if the Eric Duncan mistake flowed from something more systemic, then we absolutely need to know what it was and how it happened so that we can look for the same problems everywhere else. If it was a non-medical problem, I can almost guarantee you it will turn out to be an issue not be unique to this hospital. The Texas Health situation may be setting a dangerous precedent. This is a major world health crisis for which providers worldwide are trying to prepare. If truly the mistake Texas Health made in releasing Duncan was its mistake alone, so be it. But if there really was a design flaw, then every provider--and every vendor--needs to know about it, evaluate whether it has the same problem, and correct it. The patients deserve no less. So far, to date, we have heard nothing more from the managers of Texas Health Presbyterian or its parent non-profit corporation, Texas Health Resources. 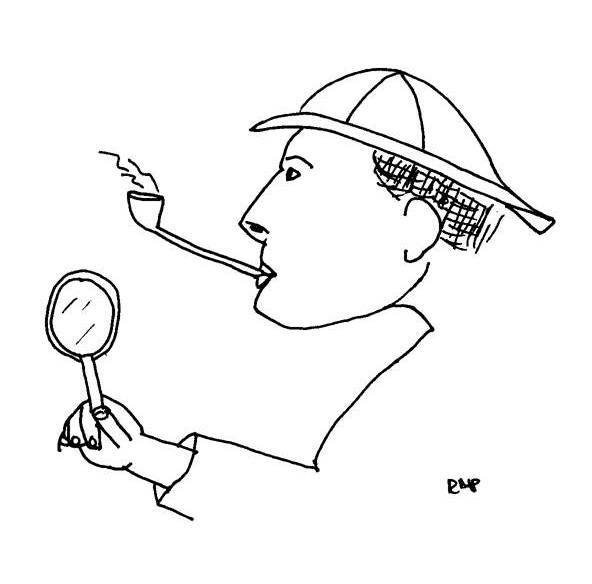 It appears we need a reincarnation of Sherlock Holmes to solve this one. I am not he. But I do believe there are some clues, however, weak, that suggest system flaws. They can be found in an interview of the new Texas Health Resources chief operating officer (COO), Dr Jeffrey Canose, published in Healthcare Informatics a few weeks before Mr Duncan presented first to the Texas Health Presbyterian emergency department. Recall Mr Schulze's point that the failure to diagnose Mr Duncan could have been due to a business management style or policy. So maybe we have a clue that the hospital's policy to reduce emphasis on acute care, including the emergency department, might have had to do with problems in the ED leading to a diagnostic misadventure. around collaboration at the sharp point of redesigning patient care—... people in IT are mission-critical partners in hearing what kinds of problems we’re trying to solve, and in helping us to figure out how to drive clinical transformation and care design, and how to drive efficiency. So maybe we have a clue that the management was very heavily intellectually invested in their health care information technology infrastructure, and perhaps thus less willing to think about how health care IT could be the cause, rather than solution of problems, such as diagnostic problems in the ED. This implies that many physicians who practice at Texas Health Resources hospitals are in fact its employees. We have at times written about the perils being a corporate physician. One is loss of autonomy, as physician employees become beholden to organizational managers. So maybe we have a clue that physicians' loss of autonomy, perhaps the autonomy to put patients ahead of corporate policies and managerial edicts, such as those deemphasizing emergency care, could have enabled the failure to diagnose the Ebola "patient zero?" We wrote earlier that the rise of generic managers as leaders of health care organizations degrade the US' ability to deal with Ebola. In the mystery of the discharged Ebola patient, we seem to see the sort of managerial obfuscation that seems characteristic of many generic managers. More transparency from the management of Texas Health Resources would surely help the US deal better with the ongoing challenge of Ebola. In the long run, Ebola may teach us a hard lesson about the need to put health care leadership in the hands of people who understand health care, and subscribe to its mission to put patients and the public health first. ADDENDUM (10 October, 20140 - This post was re-posted on the Naked Capitalism blog. Speculation about EHR role in Texas Ebola debacle vs. real evidence - will it take a lawsuit to know what's real? Probably. In the past several days the media has been abuzz with stories about the admission, then the following retraction, by a Texas hospital that and EMR "flaw" had caused a man who had been in West Africa and was infected with the Ebola virus to be sent home, instead of admitted and put into isolation. "Dallas Hospital reverses EHR-related explanation for fumbling Ebola case" (http://hcrenewal.blogspot.com/2014/10/dallas-hospital-reverses-ehr-relarted.htm). A spectrum of the healthcare IT ecosystem seems represented (see http://cci.drexel.edu/faculty/ssilverstein/cases/?loc=cases&sloc=ecosystem). The technology enthusiasts and hyper-enthusiasts seem to believe the computer could have done no wrong (and usually lack medical and Medical Informatics expertise). Some people such as myself with specific Medical Informatics experience and who know the failure modes via AHRQ, FDA, ECRI Institute etc. believe the EHR was quite likely contributory or causative of the mistake (see my April 9, 2014 post "FDA on health IT risk: "We don't know the magnitude of the risk, and what we do know is the tip of the iceberg, but health IT is of 'sufficiently low risk' that we don't need to regulate it" (http://hcrenewal.blogspot.com/2014/04/fda-on-health-it-risk-reckless-or.html). The reason I have written little after my initial two posts is that the only was to resolve the controversy is to actually examine the EHR screens, screen navigation and behavior of the EHR, if possible both before and after the hospital's stated "fix" of the problem, the EHR audit trails (automatically generated EHR accounting logs of user accesses, action taken, time, location etc.) and to examine the EHR in actual operation to evaluate it in context with the clinical setting in which it was installed. Barring that, everything else is speculation usually biased either by the speculator's own beliefs about either the beneficence or fallibility of information technology in healthcare, and perhaps IT generally, and/or conflicts of interest. Unfortunately, considering the health IT industry and environment, the only way I believe such an examination of the EHR can come about is via litigation. I doubt it will come from the traditional regulators of medical devices and healthcare safety. ... While all EHRs difficult to use, some are set up better than others. ... Both Mount Sinai and Texas Health Presbyterian have health records systems they purchased for hundreds of millions of dollars from Epic. At least some users of EPIC seem to have a system configured to catch such a problem. In my mind, this speaks the need to industry regulation, to ensure all EHRs meet basic standards of safety and reliability and are not haphazardly designed or implemented from one hospital to the next. "I always talk about data capture and data reuse and the reuse is defined by the data flows required in the design of the system. EPIC might well have allowed for the the data capture but failed to deal with the data flow to properly effect the required reuse." As may the implementers at the hospital in question also have failed at the flows supporting appropriate and fail-safe reuse in a hectic ED environment. A footnote to this point. We separate data flow from work flow. Data flow is the movement of data from context to reuse in another context, or you collect data on this screen(first context) and then you see it later on another screen (=another context). Workflow is the route staff team members take in moving from one context to another, that is the movement from using one screen to another screen. Most often triggered by clicking a button that moves you to the chosen screen(next context). The two are very different things and require close thinking in both cases to not trip up with unhelpful and frustrating system solutions. Historically, Information Systems development has dealt with these issues both poorly and without adequate separate planning. In the past the focus has been on the data capture and storage, because the notion of reuse and context shifting has been left behind. This has been OK for many business systems where contexts have only small variations and workflow are simple or unimportant. In medicine that just isn’t the case. As West Africa's Ebola outbreak continues to rage, some experts are coming to the conclusion that it may take large amounts of vaccines and maybe even drugs — all still experimental and in short supply — to bring the outbreak under control. 'It is conceivable that this epidemic will not turn around even if we pour resources into it. It may just keep going and going and it might require a vaccine,' Dr. Anthony Fauci, director of the U.S. National Institute for Allergy and Infectious Diseases, told The Canadian Press in an interview. The main reason we do not yet have such a vaccine does not appear to be scientific, but economic. Here we posted discussion of arguments that pharmaceutical and biotechnology companies up to now have been uninterested in developing Ebola vaccines because they did not anticipate that such vaccines would produce a lot of revenue. About one month ago, the Independent ran yet another story about an Ebola expert who believed this was the main reason for the lack of effective vaccine development up to now. The scientist leading Britain's response to the Ebola pandemic has launched a devastating attack on 'Big Pharma', accusing drugs giants including GlaxoSmithKline (GSK), Sanofi, Merck and Pfizer of failing to manufacture a vaccine, not because it was impossible, but because there was 'no business case'. West Africa's Ebola outbreak, which has now claimed well over 2,000 lives, could have been 'nipped in the bud', if a vaccine had been developed and stockpiled sooner – a feat that would likely have been 'do-able', said Professor Adrian Hill of Oxford University. The US health care system is now heavily commercialized. Health care corporations, including pharmaceutical and biotechnology companies, are often lead by generic managers who subscribe to the business school dogma of the "shareholder value theory," which seems to translate into putting short-term revenues ahead of all other goals. Thus they have been "financialized." At least in the pharmaceutical and biotechnology sector, such financialization appears to now be global. It may now be too late to contain this particular Ebola virus epidemic using a vaccine. But unless we change how decisions are made about vaccine development, and end the dominance of financialization over drug and vaccine development, we may not be able to control the next deadly epidemic using vaccines either. On 2 October, 2014, InformaticsMD posted on Health Care Renewal his speculation that the Ebola patient now hospitalized in Dallas was not identified on his first emergency department visit to Texas Health Presbyterian hospital even though a nurse apparently found out he had recently traveled from Liberia because of problems with how the hospital's electronic health record (EHR) transmitted or displayed this information. This supposition was later apparently confirmed, but then the hospital system CEO retracted this explanation, leaving the reason he was sent home from the ED, thus risking infection of more contacts, unclear (see this post). I now speculate that the larger reason for the problems the hospital had and is having both handling this patient, and explaining how it handled the patient is hospital leadership by generic managers who do not really understand the relevant health care issues. Texas Health Presbyterian Hospital — under fire for releasing a Liberian man who later turned out to have the Ebola virus — has lagged behind its peers on emergency room care and lost some federal funds the past three years because it had high discharge rates of patients who later had to return for treatment. The hospital scored significantly worse than the state and national averages in five of six emergency care indicators, with emergency room wait times twice as long as the averages, according to data from the U.S. Centers for Medicare & Medicaid Services. The hospital also was the most penalized in Dallas under a three-year program designed to reduce the number of patients readmitted for care, according to the data. The delays in patient treatment in the emergency room, in particular, raise important questions about Presbyterian’s emergency care, said Dr. Ashish Jha, a professor at Harvard University’s School of Public Health and a practicing general internist. We have frequently discussed how generic managers in charge of health care organizations may follow business-school dogma at the expense of patients' and the public's health. In particular, they may also prioritize short-term revenue ahead of all other concerns, and hence may favor high-technology and procedural care, often performed electively, ahead of the the less glamorous and remunerative parts of health care, e.g., ED care of poor, uninsured, febrile patients. Unfortunately, much of the country's efforts to ward off Ebola are likely to be lead by generic managers who may have little understanding of epidemiology, public health or virology, and little understanding of the state of health care at the sharp end. So unfortunately I expect continuing "glitches," or worse. Hopefully, the country, although not every single one of its inhabitants, will survive them. Then we need to seriously reflect on the wisdom of handing control of health care over to generic managers, rather than health care professionals. After Duncan was admitted to the hospital, health officials waited nearly two days to test his blood for the Ebola virus. This may have delayed containment of people who had contact with him. Health officials left some of Duncan’s close contacts in the apartment where soiled linens and towels that he had used remained. Ambulance workers and sheriff’s deputies are among those being monitored. But public health experts argue that the state’s response system is 'fragmented' and vulnerable to local budget cuts, which they say could hamper crisis-response efforts in the case of diseases that are more easily transmitted. Texas’ local health departments, which provide services like immunizations and disaster response planning, operate autonomously and are funded primarily by local taxes but may be supplemented by state and federal grants. Because local health departments are not held to a single standard, their services and budgets vary tremendously around the state. A report critical of the state’s public health system, prepared by the Sunset Advisory Commission, found that 'the roles and responsibilities of DSHS and local health departments remain undefined.' The Sunset Commission is tasked with highlighting inefficiencies at state agencies and recommending legislative action. Some public health officials have criticized the state’s model as disjointed. Many local health departments operate independently; however, if local budget cuts to a public health department force it to discontinue a health service, DSHS is often required to step in and take responsibility for that service. The state is then left to foot the bill. Local entities have slashed funding for health departments in recent years, said Catherine Troisi, an epidemiologist at the University of Texas School of Public Health in Houston. Thirty-six percent of local health departments in Texas laid off staff as a result of budget cuts between 2008 and 2013, according to the National Association of County and City Health Officials. 'Public health is politics,' Troisi said. Nurses, the frontline care providers in U.S. hospitals, say they are untrained and unprepared to handle patients arriving in their hospital emergency departments infected with Ebola. Many say they have gone to hospital managers, seeking training on how to best care for patients and protect themselves and their families from contracting the deadly disease, which has so far killed at least 3,338 people in the deadliest outbreak on record. Nurses argue that inadequate preparation could increase the chances of spreading Ebola if hospital staff fail to recognize a patient coming through their doors, or if personnel are not informed about how to properly protect themselves. 'A lot of staff feel they aren't adequately trained,' said [Emergency Department nurse Micker] Samios, whose job is to greet patients in the emergency department and do an initial assessment of their condition. Samios said she and other members of the emergency department staff were trained just last week on procedures to care for and recognize an Ebola patient, but not everyone was present for the training, and none of the other nursing or support staff were trained. Nurses at hospitals across the country are asking similar questions. So up to now, it appears that in the state of Texas, and across the country, the preparedness of public health systems and of front-line hospitals to deal with Ebola is unclear. This may be due to political cuts in funding of public agencies, a payment system that favors procedures and high-technology over basic care, and leadership by generic managers who prioritize making money short-term over less financially advantageous priorities like preparedness for epidemics. Thus again there is reason to fear that our commercialized health care system run by generic managers, and our neglected public health system scorned because it is not "business-like" may not be fully up to the task of containing Ebola. Again, hopefully this too will pass, without too many casualties. However, one, maybe the only silver lining in the dark clouds of the Ebola crisis seem to be its capacity to challenge the pompous certainty by those invested in the status quo that we have the best health care system in the world. The Ebola crisis should, again, lead to serious reflection on true health care reform, reform that would address concentration and abuse of power, reform that would enable leadership of health care by well-informed people who are devoted to patients' and the public's health, who are honest and ethical, who are willing to be held accountable, and would shrink the size and power of individual health care organizations to make them truly responsive to patients' health care needs and the public's health needs.